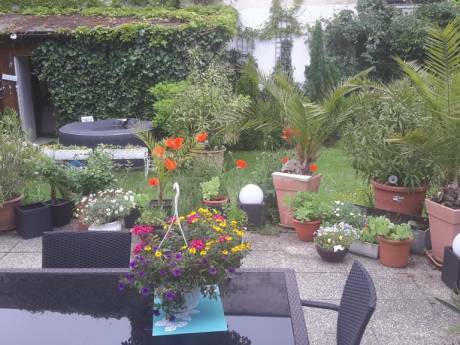 Our house is a modern house built in 2003 on the banks of the river Danube set in the town of Emmersdorf/Donau which marks the beginning of the Wachau valley, a UNESCO World cultural heritage site. 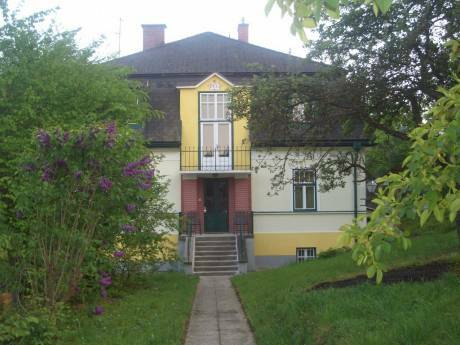 The house has 3 bedrooms and an open plan living room/kitchen, the bathroom is situated on the upper floor and there are 2 WC&#180;s. One wall in the 2 larger bedrooms and downstairs in the living room is glass and there is a beautiful view over the river and of Melk abbey. From the living room you can walk out into our terraced garden. A cycle path runs opposite the house which could take you from Germany to Hungary and we have 4 adult bikes available to be used. The Wachau valley is a wine region with lots of pretty villages and we are 80 Kilometres from the capital of Vienna. Our names are David and Monica and we have 3 teenage sons. David works as a pastor in the town of St. Pölten and Monica works as a tour guide in Melk abbey. We both love to travel and visit different places. This is our first time using a home exchange program so we are really looking forward to seeing what offers we get! 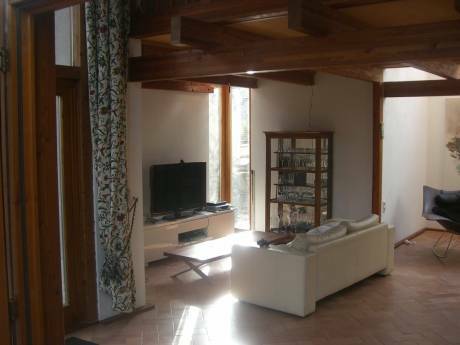 We have been living in our current house for almost seven years now and I have always thought it is the ideal house to offer as an exchange because of the region and the house;s unusual design with it;s large glass windows. Situated at the beginning of the Wachau valley and just an hour away from the 2 main cities of Vienna and Linz this area attracts a lot of visitors, many of whom come to visit the world famous Melk abbey. It is a wine-growing region and the villages and towns in this area all date back to the middle ages and have retained their charm. The river Danube is set amongst peaceful countryside and for those who dare there are even sandy beaches nearby if you want to swim in the river! Vienna is not too far away either for those who wish to visit this beautiful city.